This month, instead of doing a deep analysis on a single company, I want to present an overview of a complex family of companies. The company family is Brookfield. Brookfield flew under the radar of individual investors for years, but it has been receiving increased attention recently in dividend growth circles. Despite its historic lack of visibility, Brookfield is one of the largest hard-asset managers in the world. Brookfield owns 2,000 projects across 30 countries on five continents, encompassing $300 billion in assets and 80,000 employees. Brookfield makes money in several ways. • They directly invest in assets and projects. • They have established private funds used by institutions. The funds have been successful for their investors and generate fees for Brookfield. • The company has created four publicly traded limited partnerships (LLCs) plus a real estate investment trust (REIT). All of them pay management fees and incentive distribution rights to the parent company. The parent company also owns equity stakes in all of them, so it receives revenue via dividends and distributions from the subsidiaries. Some investors are put off by Brookfield’s complexity. The purpose of this article is to simplify Brookfield. I will provide a distilled analysis of each company, show how they fit into the family, and suggest some pluses and minuses about each one. Somehow, Brookfield has become huge without attracting very much attention. For example, I was surprised to find that neither Morningstar nor CFRA has an analyst assigned to any Brookfield company nor to the entity as a whole. In the absence of analysts, they both cover the companies with quantitative (algorithmic) processes only. 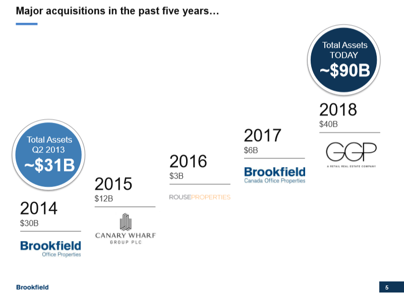 This diagram showing Brookfield’s assets is from 2017. Their holdings have grown by $50 B since then. …Wall Street loves it. Despite Brookfield’s low profile, its stock has returned 1,350 percent since Flatt took the helm in 2002, versus 183 percent for the S&P 500—that’s a Buffettesque 19 percent annual average, buoyed by assets that generated some $25 billion in revenues last year and net profits of $3.3 billion. Before we get started, a word on sources: Unless noted otherwise, all of the information in this article has been obtained from Brookfield’s websites, as well as from documents (such as investor presentations and shareholder reports) that are linked to from those websites. The parent corporation of the Brookfield empire is Brookfield Asset Management (BAM). BAM’s business model, in a way, is simple: It acquires assets at good values, enhances them through intelligent management and great execution, and (sometimes) flips them when they become mature to move capital to faster-growing investments. One can invest in everything Brookfield does via BAM. In addition, BAM’s four asset categories define subsidiaries that you can own individually. The following are brief sketches of the subsidiaries. Later, we’ll look at them in more depth. Investors can access Brookfield’s real estate empire through Brookfield Property Partners (BPY) or Brookfield Property REIT (BPR). BPR was created in 2018, and it is essentially a clone of BPY for investors who would rather invest in a REIT rather than a partnership. 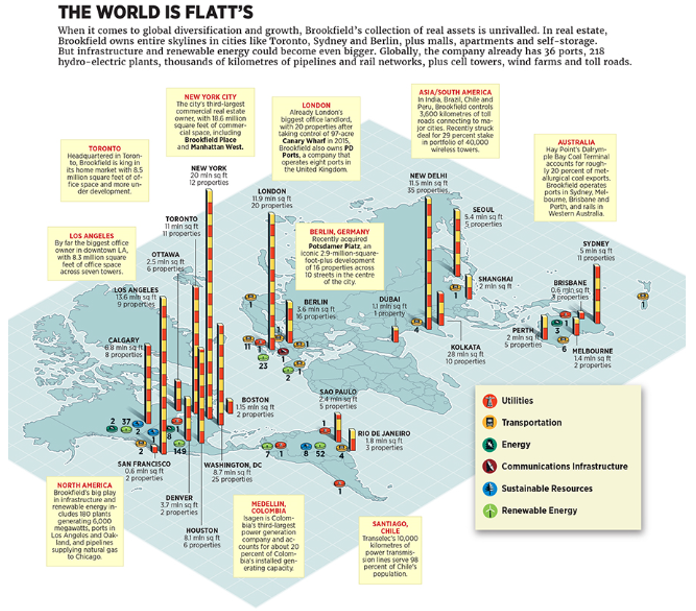 Brookfield is one of the world’s largest investors in real estate. Its global portfolio includes office, retail, multifamily, logistics, hospitality, self-storage, triple net lease, manufactured housing, and student housing assets located on five continents. Altogether, Brookfield’s has 287 properties totaling $188 B in assets under management, with 17,000 operating employees in this segment. Investor access to Brookfield’s infrastructure empire is available by way of Brookfield Infrastructure Partners (BIP). Brookfield is one of the world’s largest infrastructure investors. It owns and operates assets across the utilities, transport, energy, and data infrastructure sectors. In its infrastructure segment, Brookfield has $61 B in assets under management and more than 30,000 operating employees. Investors can access Brookfield’s renewable power businesses via Brookfield Renewable Partners (BEP). Brookfield is one of the world’s largest investors in renewable power, with 18,000 megawatts of generating capacity across North and South America, Europe, India, and China. Their assets cover a range of technologies, including hydro, wind, solar, distributed generation, and storage. It owns 930 power generating facilities. In this segment, Brookfield has $47 B in assets under management and about 2500 operating employees. This final Brookfield segment is like a “miscellaneous” category. It is focused on acquiring high-quality businesses with barriers to entry and enhancing their cash flow capabilities by improving strategy and execution. Brookfield has $42 B in assets under management in this segment, and its businesses have around 45,000 operating employees. Businesses in this segment run the gamut from facilities management, to construction, to palladium mining, to residential development operations, as well as many others. Investors can access this segment through Brookfield Business Partners (BBU). Brookfield’s organization is shown in this diagram. Brookfield Asset Management (BAM) is shown at the top as the parent company. The first four gray boxes are the four publicly traded subsidiary partnerships. 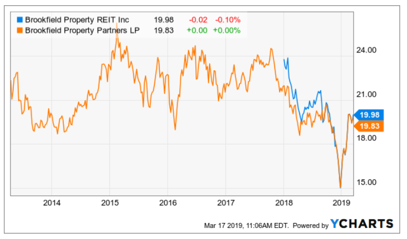 The REIT (BPR) is not shown as it is not an operating company; it is a subsidiary of BPY in the first gray box. The percentage figure in each of the gray boxes shows BAM’s “fully diluted ownership interest” in each subsidiary. For example, BAM owns 51% of BPY, as shown in the first gray box. Thus BAM receives 51% of BPY’s distributions each year. 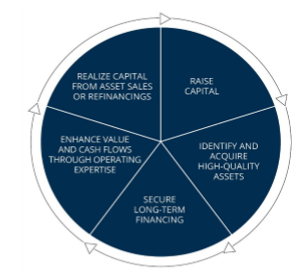 Each of the six possible ways to invest in Brookfield presents different investing options. Let’s compare what the investments offer as measured along several dimensions. In this section, we compare dividend statistics. 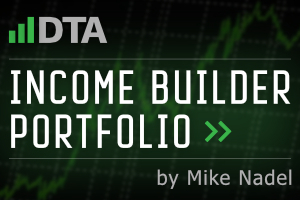 The data sources are the Dividend Champions document and Simply Safe Dividends. 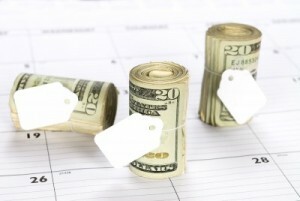 As you can see, there are a range of choices for the dividend growth investor. 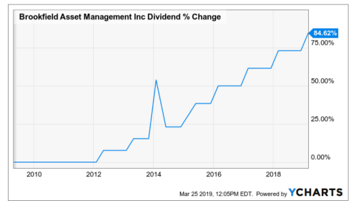 • The parent company, BAM, has just a 1.4% yield, but it sports a fast 5-year dividend growth rate at 16% per year for the years 2014-2018. • None of the companies have truly high dividend safety scores. The best is BIP at 65. • Only one company’s dividend growth steak – BIP – extends back through the last recession. • The private equity company BBU has both a very low yield and a short dividend growth streak. It would probably not be of interest to most dividend growth investors. Therefore, I won’t cover it in detail in the remainder of the article. Next, let’s talk about the legal forms of the entities, as this can be important to investors, especially in how dividends are taxed. Brookfield Property Partners (BPY), Brookfield Renewable Partners (BEP), and Brookfield Infrastructure Partners (BIP) are all limited partnerships. If you buy shares (technically called units), the dividends (technically called distributions) are not taxed in and of themselves, because they are considered a return of your own capital. However, those distributions do reduce the cost basis of each partnership that you own. So when you sell shares, the capital gains tax will apply to a larger sum than your direct capital gain on the sale price of the shares. 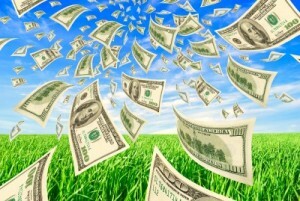 Specifically, the taxable “capital gain” will also include all the dividends you have been paid over the years. The net effect of this setup is that the tax on partnership distributions is deferred – you don’t pay the tax unless and until you sell the units. 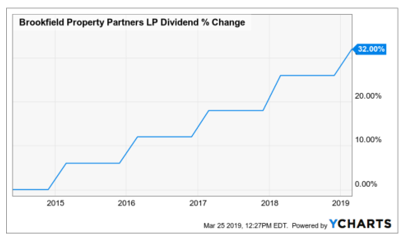 Brookfield Property REIT (BPR) offers the same payouts as Brookfield Property Partners (BPY), but they come as REIT distributions. They are not considered return of capital, but rather they are taxed as non-qualified dividends. Taxation is not deferred. I am not a tax expert, and the preceding is intended to be a simple overview of the tax implications of investing in the Brookfield entities. You should consult with your tax advisor about the taxation of distributions from any Brookfield company that you may be considering. I like to gather various quality indicators of companies in my Dividend Growth stock of the Month articles. Unfortunately, Brookfield is not covered by many of my usual sources. Here I have gathered what I was able to find. Note that BPR has no ratings across the board. 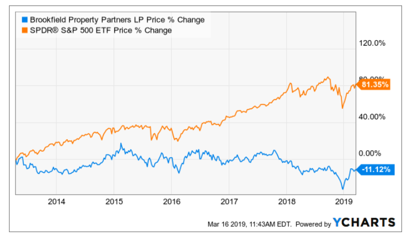 But since it is essentially a clone of BPY in REIT form, I would simply assume that BPR has the same ratings as BPY. Credit ratings: BBB- is S&P’s lowest “investment grade” credit rating. All of the Brookfield companies exceed that, although the only rating that I would call “good” is BAM’s at A-. Morningstar moats: Since Morningstar does not have an analyst assigned to Brookfield, their moat ratings are derived by algorithms. All of the Brookfield companies except BPY have Narrow moat ratings, which is the 2nd-highest category. 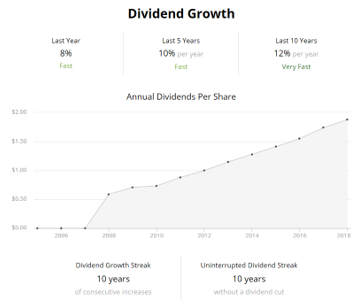 Simply Safe Dividends’ Dividend Safety grades: None of the grades is outstanding, but none is a knockout factor either. 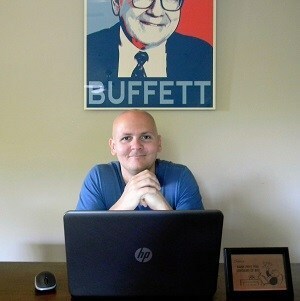 I usually restrict my own investing to companies with grades of 60+. By that standard, only BIP qualifies. CFRA Quantitative Model: This is my first use of CFRA’s Quantitative Model. 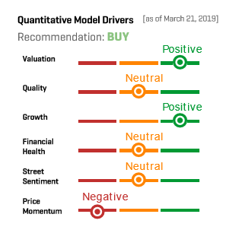 I regularly use their analyst reports, but this model appears to be algorithmically driven and employed when CFRA does not have an analyst assigned to the stock. In this section, I want to focus on each company in the Brookfield empire and discuss some important strengths and weaknesses as potential dividend growth investments. 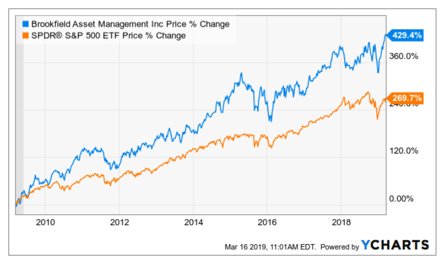 As we’ve seen, Brookfield Asset Management (BAM) is the parent company and owns stakes in all of the Brookfield companies as well as the associated investment funds. In describing itself, Brookfield emphasizes the long-range promise of investing intelligently in real assets. The business of managing real assets for private investors across real estate, infrastructure, renewable power and other related private businesses continues to mature and is now firmly established as a component of the investment portfolios of most pension and sovereign plans….This will continue to fuel the significant growth in the industry. (3) recycling proceeds into higher yielding opportunities. Judging from its stock price, BAM’s approach has been successful. Its price return has run 59% ahead of the S&P 500 over the past 10 years. 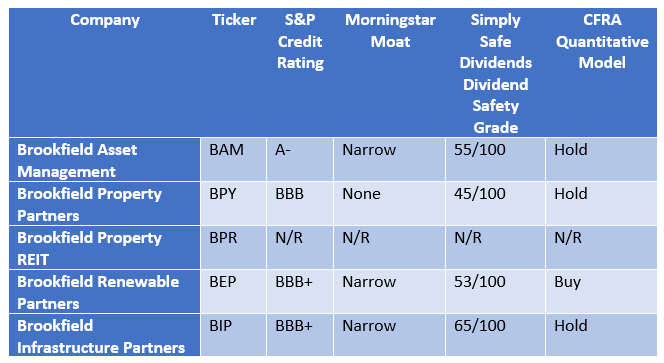 Morningstar awards BAM a Narrow moat rating (its 2d-highest rating). BAM sports a solid investment-grade credit rating (A-). A couple of downsides to BAM from a dividend growth perspective are its low yield (1.4%) and middling dividend safety grade from Simply Safe Dividends (55/100). Its relatively fast 5-year dividend growth rate (16.1% per year) qualifies BAM as a low-yield fast-growth dividend growth stock. Earlier this year, BAM announced a 6.7% dividend increase, which is shown on the far right on the chart above. BPY and BPR are two investments one can use to access Brookfield’s real estate holdings. The two equities are like alternate sides of the same coin. BPY was developed first, in 2013, as a limited partnership to be Brookfield’s primary vehicle for real estate investments. BPR was established just last year as a REIT, designed to represent exactly the same assets and activities as BPY, but in REIT form rather than a partnership. BPY’s business model is the same as BAM’s: Identify quality properties at good valuation, improve them by upgrading operating practices, generate better cash flow, and when the time is right, sell them at a profit and move on to other opportunities. As you can see here, BPY has been very active since its founding, nearly tripling its asset base. Not only has the asset base grown, but the types of assets owned have increased in scope. BPY has gone from owning mostly office and retail facilities to a more diversified portfolio, although office and retail still dominate. Brookfield claims to own 8% of the high-quality retail space in the USA. Morningstar awards BPY no moat, but it does believe that BPY is undervalued. Of course, that price lag contributes to BPY’s undervaluation and high yield. Brookfield Property REIT (BPR) is a subsidiary of BPY. It was created last year to offer investors economic equivalence to BPY units in the form of a U.S. REIT security. 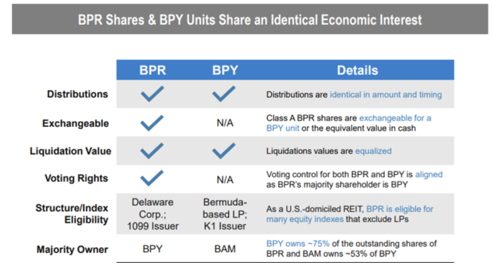 Dividends on BPR shares are identical in amount and timing to distributions paid out for BPY units, and BPR shares are exchangeable on a 1:1 basis for BPY units or their cash equivalence. 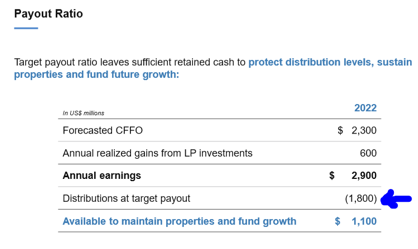 Morningstar does not assign a fair value to BPR, but since they are designed as clones, we can assume that Morningstar would consider BPR to be undervalued too. As one might expect, the two securities have traded within a small margin of each other since BPR was introduced last year. Normally, BPY and BPR’s prices differ by less than a percent, and their yields are usually within 0.1% of each other. The more important consideration in choosing between the two is what corporate form you want, whether you want to defer taxation or pay it in conjunction with the income, and whether you hate K-1 forms or not. The company targets 5%-8% distribution growth rate over the next few years. Earlier this year, BPY and BPR both announced 4.8% dividend increases, and the payout amounts remained identical. 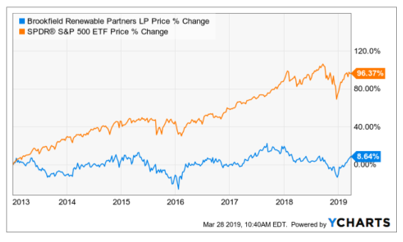 Brookfield Renewable Partners (BEP) operates one of the world’s largest publicly-traded renewable power portfolios. 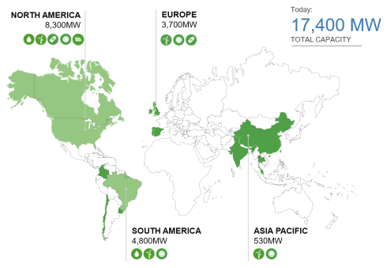 BEP owns over 17,400 MW of capacity and 876 generating facilities in North America, South America, Europe and Asia. 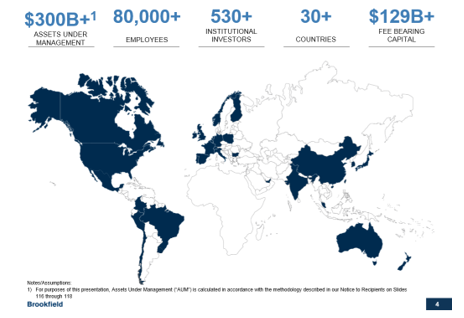 It has $43 B in assets under management, located in 10 countries. 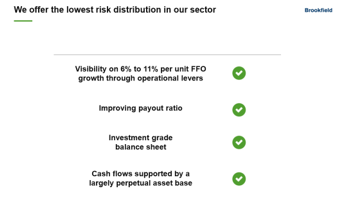 BEP’s strategy includes elements that we have seen in other Brookfield companies, including value investing, applying operating expertise, global scale, and return targets of around 15%. Started in 2013, BEP owns and operates 879 power generating facilities. Besides hydroelectric (on 32 river systems), they include wind, solar, battery storage, and biomass operations. In recent years, much of BEP’s expansion has come in the solar and wind areas; in other words they are somewhat diversifying away from hydro. Since its introduction, BEP has not delivered strong price returns for investors. On the other hand, BEP has delivered nicely on the dividend front for investors since the recession years. 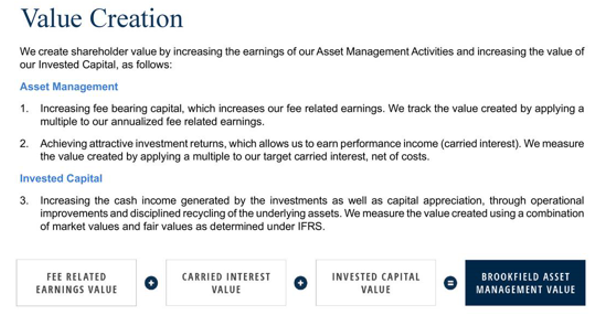 Morningstar gives BEP a narrow moat rating, and they believe that BEP is fairly valued. BEP’s credit rating is BBB+ (low investment grade). With a 5-year DGR of 6.5% per year to go with its 6.6% yield, I would call BEP a high-yield, fast-growth opportunity. Earlier this year, BEP announced a 5.1% increase in its dividend. 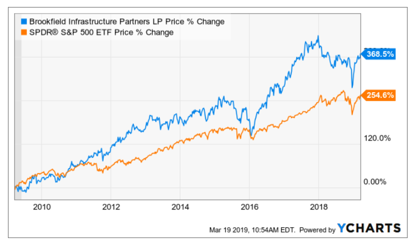 Brookfield Infrastructure Partners (BIP) is one of the largest and most diverse owners and operators of infrastructure networks that facilitate the movement and storage of energy, water, freight, passengers, and data. BIP’s business strategy mirrors the overall Brookfield strategy: Acquire high quality businesses on a value basis, actively manage and improve operations, and sell assets when the opportunity arises to generate money to pursue other projects. BIP’s stated performance objectives are to generate long-term returns of 12 -15% on equity and grow distributions 5-9% per year. Since its inception in 2008, BIP has more than delivered on its distribution growth targets. It initiated and raised its distributions through the Great Recession. BIP’s capital allocation model is similar to the property segment, with ~65% of funds from operations (FFO) targeted for distribution to unitholders. BIP currently yields 5%, and Simply Safe Dividends ranks its dividend safety at 65/100, or “safe.” Its 5-year DGR is 10.4%. Given its combination of yield and dividend growth rate, I would rate BIP as a high-yield, fast-growth opportunity. It recently announced a 6.9% dividend increase. 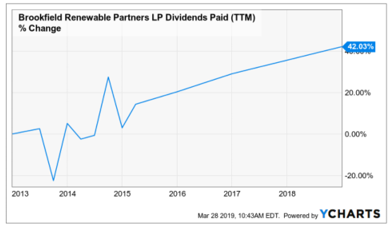 To my eye, BIP may be the most attractive of the Brookfield companies in its combination of yield, dividend growth rate, dividend safety, and the length of its string of annual dividend increases. Brookfield is a collection of companies, all investing in real assets and run with common philosophies and nearly identical performance targets. By being part of the family, they all have access to Brookfield’s wide financing reach, operating expertise, and proven strategic approaches. At the top is Brookfield Asset Management (BAM). You can buy a stake in all of Brookfield by investing in BAM. BAM is the only “regular” corporation among the enterprises. It offers qualified dividends, but at a low yield. We are often asked by investors which Brookfield stock they should own – BAM or one of our four listed partnerships. While it sounds self-serving, we recommend “all of them,” because…each one is different and has a specific goal of being best in class in their specific area of expertise…. It is…notable that our franchise is differentiated in the asset management industry by the scale and growth potential of these best-in-class listed partnerships which are managed by us in the same way as we manage our private funds for private investors. Furthermore, with very large ownership stakes in each partnership, we are incented to ensure each creates long term value because as each of our entities does well, and trades well, this translates into further value creation for BAM. One Brookfield subsidiary is not a partnership. Brookfield Property REIT (BPR) is majority-owned by the property partnership BPY. 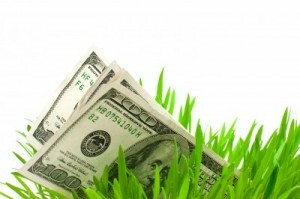 BPR exists solely to give investors an opportunity to own a U.S. REIT rather than a Bermuda LLC. Dividends (distributions) are identical as between BPY and BPR. The subsidiaries offer much higher yields than BAM, and they have compiled records of fast distribution growth given their high yields. 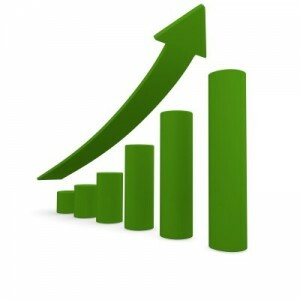 There is, of course, no guarantee that such fast growth will continue in the future. BAM has shown the best price returns of the Brookfield companies. None of the “baby BAMs” have recent records of strong price growth. Of course, that price stagnation contributes greatly to their current high yields. I will say that preparing this article has made me intrigued with members of the Brookfield family for my own investing dollars. • My colleague Brett Owens called BIP’s dividend “pullback proof” in this article in December. • My colleague Garrett Baldwin named BPY one of the “5 Top Stocks for Millennials” in November. • My colleague Brian Bollinger included BIP as one of “The 20 Best Recession-Proof Dividend Stocks” in September. Finally, remember that this article is not a recommendation to buy, hold, or sell any stock in the Brookfield family. Always do your own due diligence. Think not only about a company’s business quality, dividend outlook, and performance prospects, but also about how and whether it fits your personal financial goals.